A 1937 Lagonda Rapide Tourer and a 1929 Bentley 4 ½ Litre Tourer sold for over a million dollar each at the 2015 Bonhams Bond Street Sale in London. A 1955 Mercedes Benz 300 SL Gullwing and a 1962 Ferrari 250 GT Series II Cabriolet attracted bids well over a million dollar but failed to clear the reserve margin. Several other cars sold for well in excess of the pre-auction estimates including a 2005 Ferrari 575 Superamerica Convertible that sold for $930,000. 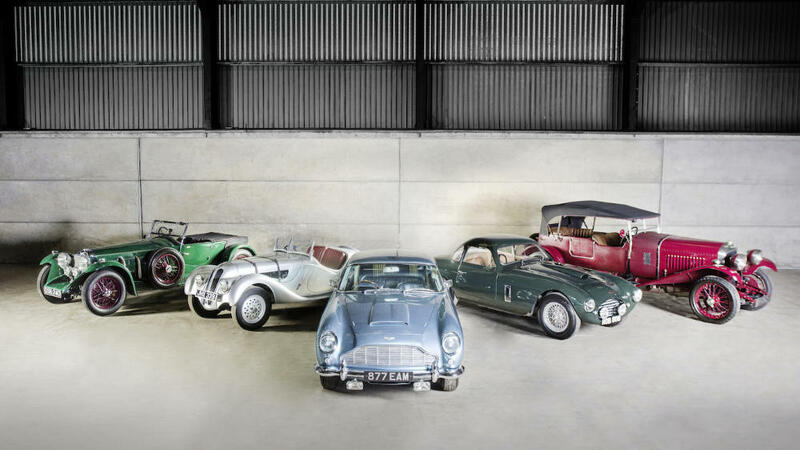 Bonhams held its annual classic car year-end sale at its head office in Bond Street, London on 6 December 2015. On offer were 30 lots of which around 25 sold (some deals were made post-hammer and prices not disclosed) to earn £8.8 million. The highest bids of the night were £860,000 (ca. $1.3 million) for a 1955 Mercedes Benz 300 SL Gullwing (estimate £1 – £1.3 million / $1.5 – $2 million) and again for a 1962 Ferrari 250 GT Series II Cabriolet (est. £1 – £1.2 million / $1.5 – $1.8 million) but neither bid cleared the reserve margins. The highest result at the 2015 Bonhams London sale was £785,500 ($1,189,212) for a 1937 Lagonda 4 ½ Litre LG45 Rapide Tourer – a new world record for this model at public auction. The pre-auction estimate was £500,000 – £700,000. This 1937 Lagonda 4 ½ Litre LG45 Rapide Tourer is one of only 25 produced and has been in single family ownership since new. The car is highly originally and well maintained but without major restoration. A 1929 Bentley 4 1/2 Litre Tourer with coachwork by Vanden Plas achieved a strong £667,900 ($1,011,171) at the Bonhams Bond Street 2015 sale. The result was again way above the pre-auction estimate of £400,000 – £500,000. This 1929 Bentley 4 1/2 Litre Tourer is a matching numbers sample in very good, highly original condition. It has been on display in the Musée National de l’Automobile in Mulhouse, France and has been in the Gordon Willey collection for the past two decades. 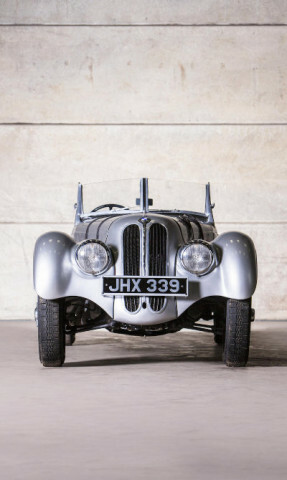 1938 Frazer Nash-BMW 328 Roadster – £617,500 ($934,868). A good result for one of around 200 known survivors of the 426 BMW 328 Roadsters produced between 1936 and 1939. 1953 Austin-Healy 100/’100S’ Coupé – £639,900 ($968,780). Although a strong result, Bonhams was probably hoping for a little bit more given that this was Donald Healey’s personal car. A 1955 Austin Healy 100 S sold for over a million dollar at RM Sotheby’s Amelia Island 2015 sale. 2005 Ferrari 575 Superamerica Convertible – £611,900 ($926,389). This result exceeded the pre-auction estimate of £370,00 – £430,000 by some margin. Expect more of the 575 Superamerica Convertibles (only 559 were made) to test the market at 2016 auctions. This one came from single ownership and was one of only 43 with a manual gearbox. Another flier was a 1960 Jaguar XK150 3.8-Litre Drophead Coupé. It sold for £42,.100 ($646,610) – nearly triple its upper estimate £100,000 – £150,000. A 1964 Aston Martin DB5 Sports Saloon that belonged to Rob Walker – a Johnnie Walker whisky heir and founder of the most successful privateer ream in Formula 1 history – sold for £516,700, also well above the pre-auction estimate of £400,000 – £450,000. Vehicle Registration Number ‘R6’ sold for £163,900 ($248,137). ‘R6’ was first registered in December 1903 and has been in single-family ownership since the 1950s.